President Trump met with a group of sheriffs at the White House on Monday where he again made the case for a border barrier, citing the need to keep out criminals and drug traffickers. He says it’s more complicated than the issue of bed capacity in detention centers and stressed the need for a physical wall. 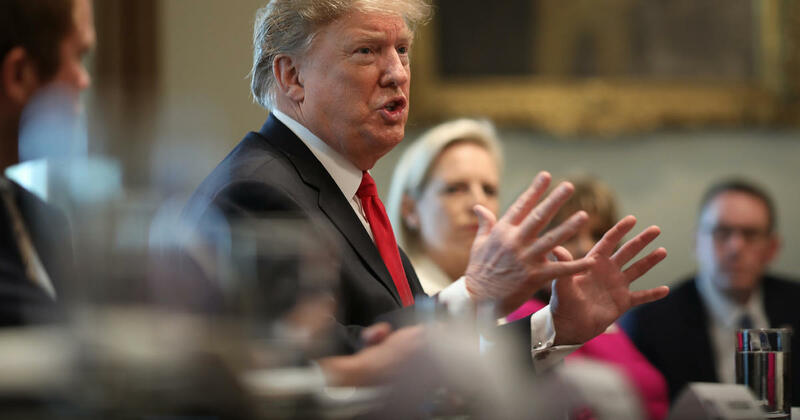 The president’s remarks come as a group of Republican and Democratic appropriators meet Monday afternoon to try to broker a border security agreement after negotiations to avert another government shutdown stalled over the weekend. Talks between a bipartisan group of House and Senate negotiators, largely made up of appropriators with experience on committees with oversight of Department of Homeland Security (DHS), broke down over the number of Immigration and Customs Enforcement (ICE) beds in detention centers — which Democrats want to cap and reduce.